A BUS service to Plymouth has seen a 50 per cent increase in passengers since its launch in September. The Citybus 45 service from Ivybridge to Plymouth saw weekly passenger numbers rocket from 2,378 to 3,623 between September and December, with bus bosses calling the figures ‘incredibly impressive for a new service’. The half-hourly provision runs every day from Ivybridge station to Royal Parade in Plymouth and has proved hugely popular with travellers and Citybus alike. Marketing co-ordinator for Plymouth Citybus, Hayleigh Beck, said: ‘Since launch, we have seen an increase of over 1,000 passengers which is incredibly impressive for a new service. We are continuing to see a definite increase on passenger numbers every week and are pleased the service is proving so popular. Councillors and members of the public have all praised the new provision, calling it a vital link to Plymouth and a hugely popular addition to the town. I know that there is some disappointment at the age of these double deckers especially as the phrase “nearly new” had been used previously but it has to be remembered that these will still be a lot newer than many of the DDs running in Plymouth. Don't forget First have given us K reg Leyland Olympians and Citybus are still running the F reg Volvos which will finally be seen off this year. At least these are going to be fully refurbished rather than just rushed into service after a quick paint job. There are also many that will probably share my disappointment that the new buses are not Volvo / Wright products but Alexander Dennis Enviro 400’s. I have never been a fan of the E400 with Alexander's strange fixation of fitting their buses out in plastic panels which looks more suited to 1970’s bathrooms than on a bus. 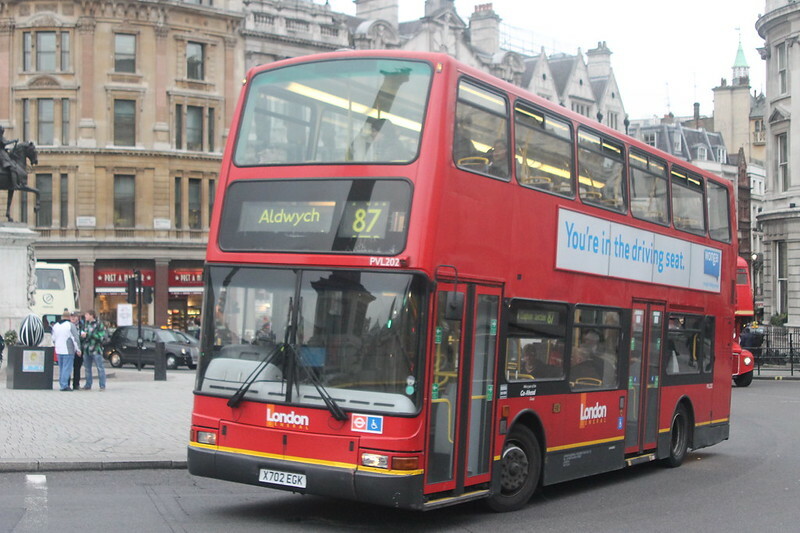 For many the bus seats on a double decker are the front seats upstairs – not on an E400 they aren't! The back seats too are poor compared with the rest of them. This was especially pronounced on the original Park & Ride E400s with First which were fantastically comfortable apart from these seats. Having said that it is still great that Citybus are buying new DDs again after so many years. Long may it continue, even if its more E400s! I may even grow to love them. (No guarantee of that as I am a fussy old git. The Citaros have never grown on me, and probably never will…) I do actually really like the PVLs. Plymouth Citybus must be doing something right at the moment that they need double deckers so badly. If you hang around outside Derriford Hospital from tea time onwards you will see a lot of double decker action, those routes which dont have them will often have standing loads. I arrive at Derriford Hospital well before 8am and often see the 28 departure covered by TWO double deckers leaving at the same time! I was under the impression that the E400's where for strict use on the 21/26, which in my opinion is needed. Removing DD's was a dreadful move and as a consequence, I now catch a bus 1hr later in the mornings to avoid the rush of students, of which most either sit on the floor or are left behind! E400's are probably cheaper that the Wrights because of the plastic used. Let just hope the heating can be switched off and the windows don't fog up when it's raining! I'm all for investment, but a great believer that a little more should be spent out for a proper job. Unless these are free from a large Go-Ahead order? they are for the 21/26! the only reason windows fog up in wet weather is cos there all shut so the warm air has nowhere to go! I would rather drive a PVL all day than a b7rle! at least the cab window doesnt rattle like mad on the deckers! Any news on when the new E400s are due to be delivered? And will there be a big song and dance like with the B7RLEs? I'm guessing April, commented this yesterday. Don't know why I put 'doing'! Should obviously say coming. As I say though, it's just a guess based on a conversation I overheard between two drivers about a 'big change' in April. If they are due in April I'm guessing we'll see a news release/press release soon as off the top of my head I think it was around mid-January we saw the news item about the B7RLEs arriving in April. Glad these will be on the 21/26 - will be a welcome change from Citaros on the 21 for seven and a bit years. I don't mind them, just a change would be nice. We do see the odd DD on the 21s though these aren't officially assigned and are just used due to vehicle shortages. Let's hope both these ex-London B7s and Enviro 400s have a bit more power on the hills than the current B7s, especially the East Lancs batch - the 02-reg ones in particular are absolutely awful - even climbing North Hill/Charles Street has the engine at close to if not full revs. Removing the centre door should help a bit! Am interested to see what the swoop livery looks like on both the Plaxton Presidents and Enviro 400s too. And in response to DDs at Derriford, between 4.45 and 5.15 you normally see at least around 8/9 DDs, five of which are Volvo B10Ms (42A 1643, 34 1708, 50 1712, 42 1713, 29 1714), plus a few East Lancs on things like the 152 and 27/28s. The 1720 50 really could do with a DD assigned - I got 182 on Friday though was about 20 mins late, arrived at about 1730 with an East Lancs DD on the 1735 one - possibly the same DD you talk about catching in the mornings Graham? Before the service change, during School Holidays Mon-Fri what was then the 1716 50 had a DD from the 1630 from town 34. This was because the 1610 from Royal Parade 50 upon reaching Derriford ran dead to Estover Ind Est for the extra trip on the 34. This would mean the 34 at 1715 from Derriford would have two buses on it (3 during schooldays with one from the 101 school route) and the 50 one bus short - easy solution; the 34 arriving at 1712 changed to the 1716 50. I believe the current trip in the evening comes from a School Run - possibly the 102? The 1712 50 comes from the Contract Service 124 to Milton Combe. The 27/28s ever since they were launched have suffered badly from capacity problems and Citybus have duplicated some of the morning peak runs.Two DDs were taken off the 29/34 as I've explained on here before which have helped matters no end, though this leaves some peak 34s SLF operated - I hope these services see a return of them being all double deckers. There were at least three First "nearly new" double deckers heading in convoy on the A38 towards Plymouth yesterday afternoon(Sunday). Does anybody have any further information? Anon @ 22.59- One of them may be ex Barnstable and Weymouth Trident 32753, which has apparently been moved to Plymouth. yes 32753 is at Plymouth, and so is 32755 seen today on service 3.
also seen today in Plymouth was 32872, is or was a Camborne bus. yh 3 volvo b6ble's have gone to weymouth to be replaced by the deckers u mentioned. 33420, 33421 and 33422 are now in plymouth as well. do we know which Volvo B6BLEs have gone to weymouth? I hope we get some more East Lancs cast off's from London! I much prefer the look of them compared to the Plaxtons. Plymouth has a long association of East Lancs bodywork. Does it??? A huge percentage of both First and Citybus fleets are Plaxton bodied. East Lancs do have a pretty good link with Plymouth in that they were the preferred choice when Citybus were buying DDs from 1979 to 1990. 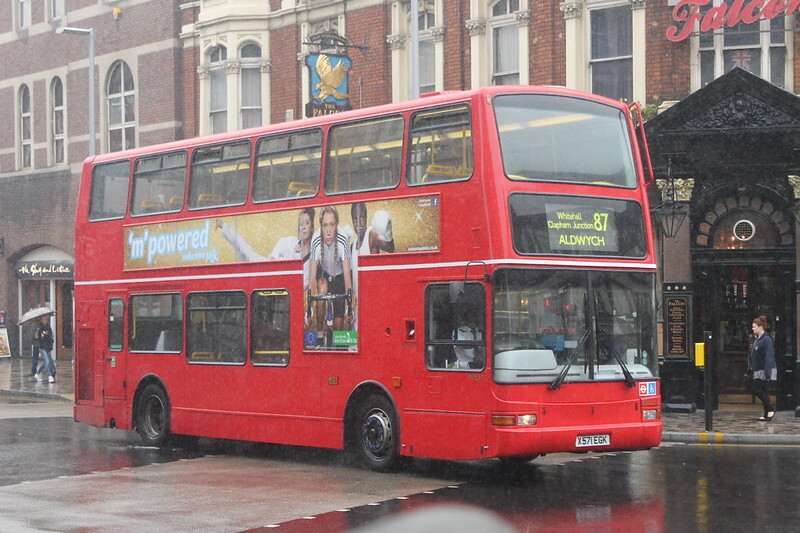 Also First D&C purchased a few East Lancs Tridents more recently to the same design as the London ones. They do look quite smart but I am more of a Plaxton fan myself.